Famous Nigerian disco jockey and billionaire child, DJ Cuppy, has been announced brand ambassador for luxurious sports car, Ferrari. 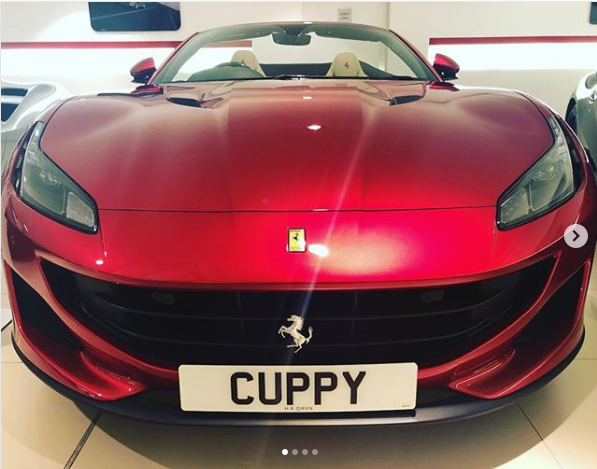 DJ Cuppy was gifted a Ferrari with her name on the plates “Cuppy”. This was given by HR Owen Ferrari. HR Owen Ferrari is an official dealer with the luxury brand. He, just like Cuppy shared the development via his gram page. “One of the best DJ s of the moment @cuppymusic Ferrari ambassador Djcuppy playing for us soon #djcuppy #portofino #ferrari #homeofthebigbeat,” he wrote.